What a cheerful winter door on a very rainy winter day! I loved the bright yellow of the door and the white berries on the Christmas Wreath! A lovely door to chase away the winter gloom in Gravesend England. 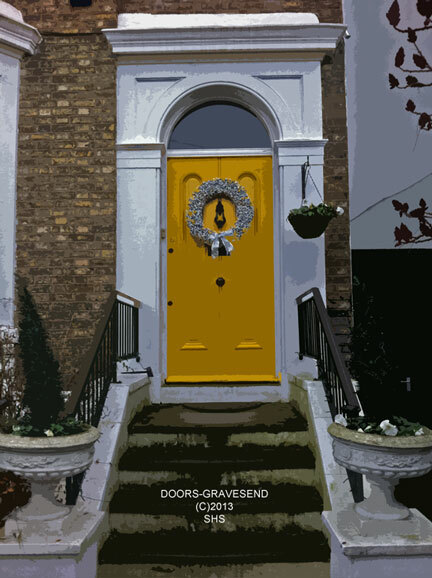 Gallery | This entry was posted in Architecture, Doors, England and tagged Architecture, Christmas, Doors, England, Gravesend, Holiday, Wreath. Bookmark the permalink. It’s quite alluring, endearing, and warm, love to make a front entry to my school or home! I loved this door, I took the photo on a dreary cold day and it just felt like a bit of sunshine!